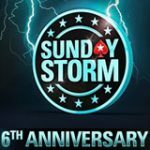 PokerStars Sunday Million 12th Anniversary Edition Take 2, that's right the Anniversary tournament has already taken place in February. 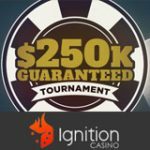 The tournament will take place again on 22nd April, 2018 because the guaranteed prize pool did not exceed the promised advertised amount of $10 million. 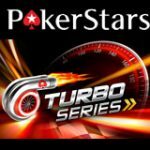 Players entering the tournament will also stand a chance at winning a PokerStars Platinum Pass valued at $30,000. Satellite your way into the tournament for only $5 in the Sunday Million Anniversary Spin & Go tournaments. 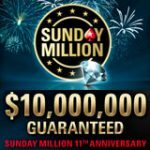 So start getting ready for round two of the Sunday Million tournament with a $10 million guaranteed prize pool with at least a million for first place prize. Get a bonus up to $600 with your first deposit. Play for your share of a $10 million guaranteed prize pool. 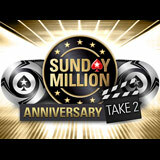 By entering the Sunday Million Anniversary Take 2 you'll stand a chance of winning a $30,000 PokerStars Platinum Pass. Selected players at random will be chosen during late registration to be entered into tournament where players can win a Platinum Pass. The Platinum Pass includes everything you need to play the 2019 PokerStars Players NL Hold’em Championship taking place in the Bahamas includes traveling plus accommodation. Win your entry to the Sunday Million Anniversary tournament by playing the special edition Spin & Go games taking place until the day of the tournament. 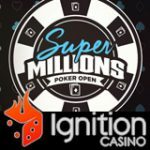 Turn a $5 buy-in into over a million dollar in just a few minutes you can also win Sunday Million tournament tickets, cash and satellite tournament tickets. 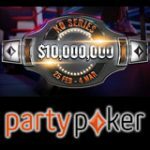 All players that have won entry into the 12th Anniversary PokerStars Sunday Million Take 2 tournament will be entered into the tournament and cannot unregister for the event.